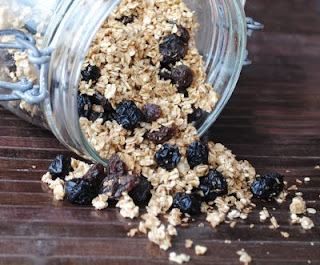 And now, in the category of "things that should have been posted Friday": Nut-free Quinoa Granola! 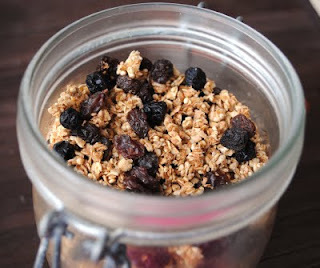 I had the honour of being a guest blogger over at Eat Yourself Skinny last Friday, sharing one of my favourite treats-- a granola I developed for those with nut allergies, like myself. It's delicious, versatile, and healthy, and I'm rarely without a jar in my fridge to sprinkle over yogurt or bring to work as a late-afternoon pick-me-up. Check out my recipe over at Kelly's site!